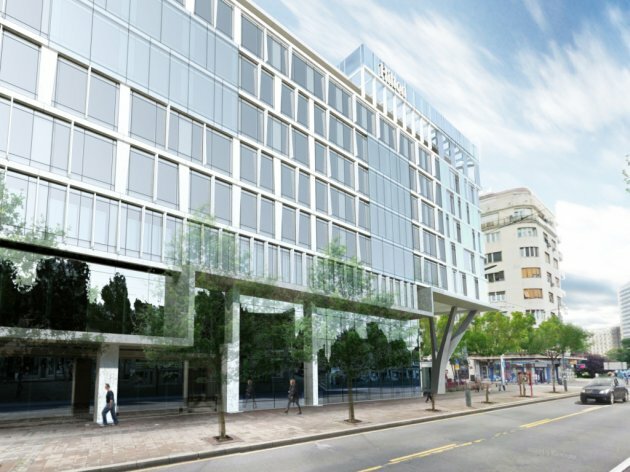 A Hilton hotel officially opened on Thursday, March 1, 2018, in Belgrade. The five-star Hilton Belgrade has 242 rooms, including 19 apartments, and features 656 square meters of space for meetings and a ball room. The hotel features rooms for spa treatments, a sauna, a fitness center, as well as the restaurant Two Kings, offering specialties from the Serbian and the international cuisine. Furthermore, the topmost floor features a “sky lounge”, with an offer based on the Asian cuisine. Hilton is the leading hospitality company in the world, with a portfolio of 14 world brands, encompassing over 5,100 pieces of real estate with nearly 838,000 rooms in 103 countries worldwide. The foundation stone for the Belgrade hotel was laid down in April 2016. The hotel features an underground garage and is located on the corner of the Kralja Milutina Street and the Kralja Milana Street. As previously announced, around 300 people will be employed at the hotel. The contractors on the project were Serbian companies primarily.